Although, I'm anti corporations commercializing culture, if I have to turn a blind eye, it has to be Nike for its 12-year long effort in selling Chinese zodiac animal-themed sneakers. This, being the Year of the Snake, Nike pulled no punches with its Shanghai release of a bunch of (ugly?) snake-inspired sneakers. This time the design team collaborated with Hong Kong's CLOT. 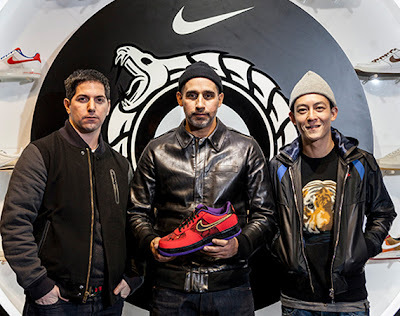 Nike – 2013 Year of the Snake Collection - Event Recap from FreshnessMag.com on Vimeo.